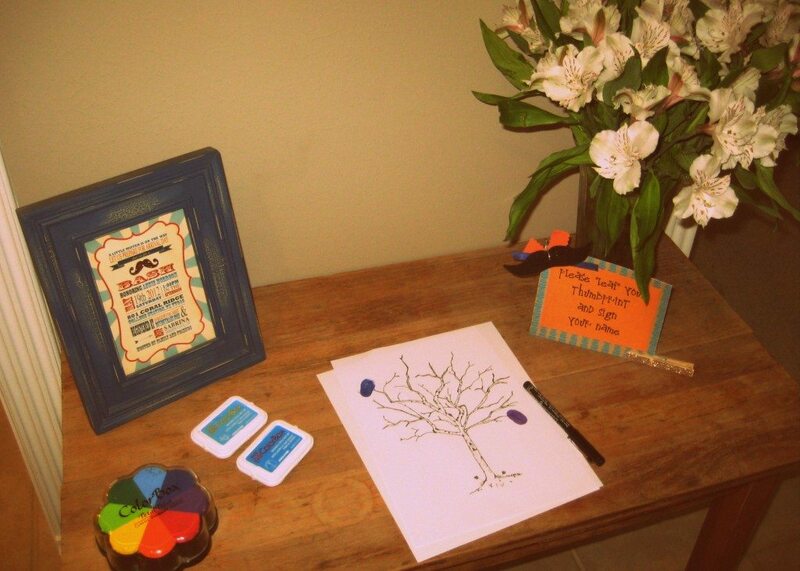 Little man baby shower: guestbooks and activities (& a freebie!) - C.R.A.F.T. I hosted a baby shower last summer (see more here) and we played 2 games…Who did it and Who’s Who? 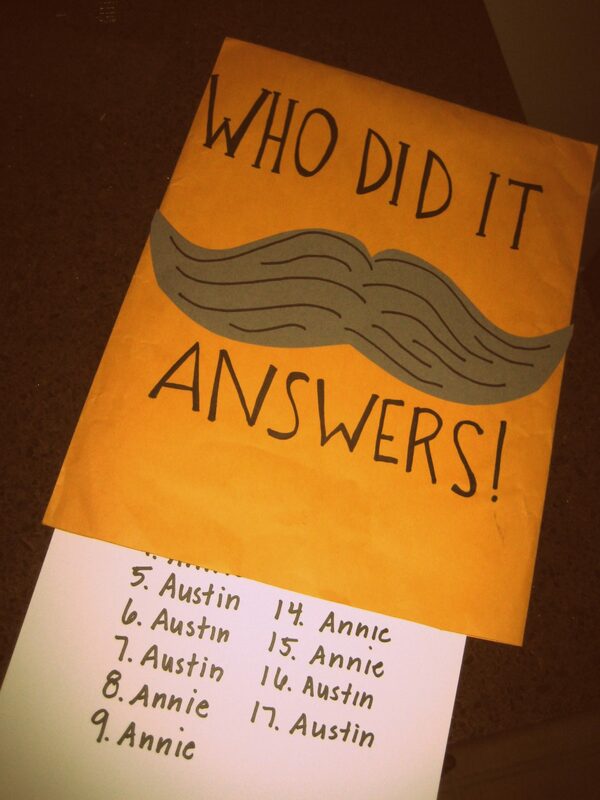 For the little man shower this year, we did Who did it as more of an activity center with a self check answer sheet. After all, Annie and I are both teachers at heart. It was a fun (free) activity for guests to wander around and learn a little more about the parents. I e-mailed Annie and Austin’s (Annie’s husband) moms’ and asked each to send me 10 things Annie or Austin did before age 7. 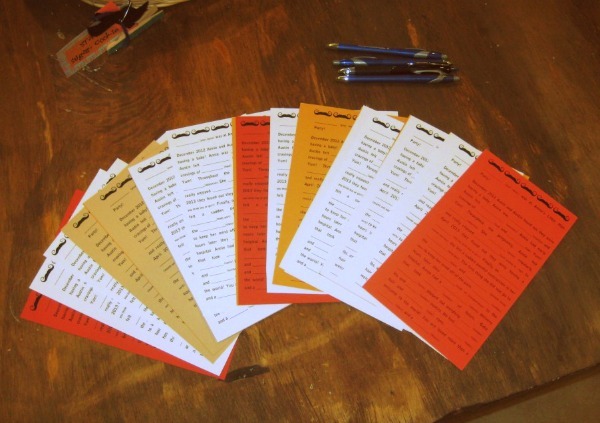 Then I used note cards to cut out conversation bubbles and write the incidents down as gender neutral as possible. 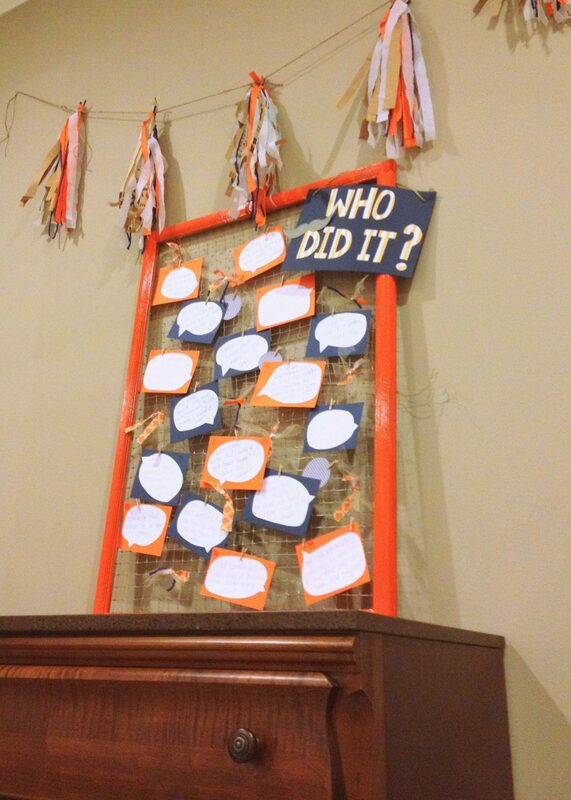 Lucky for us, Vikki had the netted frame on hand, and Annie had orange spray paint at home! 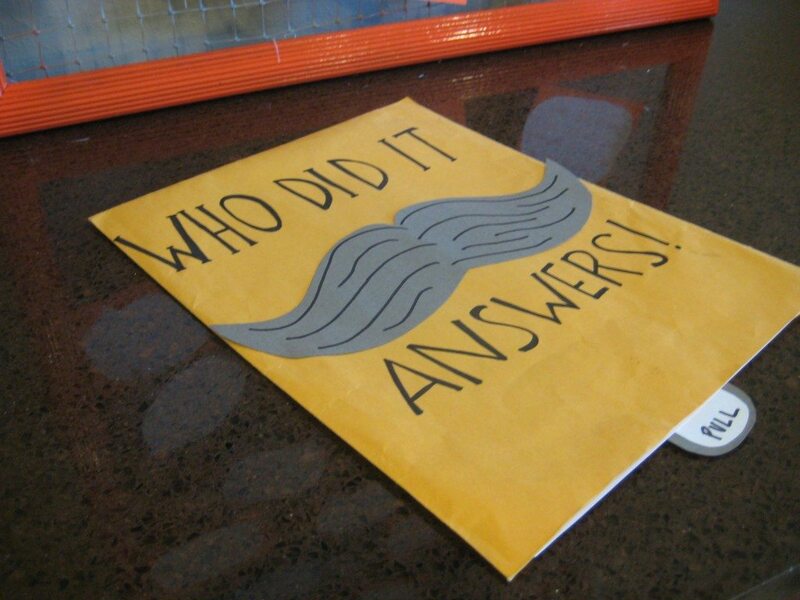 I cut out some letters and a mustache for a sign, and voila free baby shower game! I made the answer sheet out of a manila envelope and card stock. I added the pull tab to a plain white sheet of card stock with a glue stick. A super simple way for guests to self check their answers and start up conversation! We used 2 guest books. We had big plans to use a puzzle guest book, but like I said planning from another state was uber tricky. The puzzle thing didn’t work out. By didn’t work out, I mean I attempted to draw something in permanent black marker on the puzzle that was well… ugly. We ditched the idea last minute, after attempted to paint over it with no luck. Annie used the “leaf a thumbprint” print she used at a previous shower. 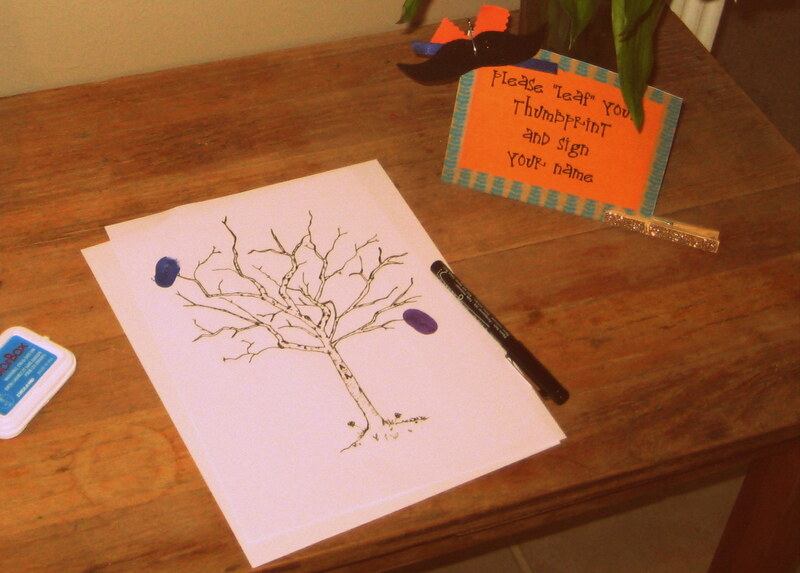 Everyone “leafed” a thumbprint and signed their name. I t will be a simple piece of art for the nursery or a really cute page in the baby scrapbook. 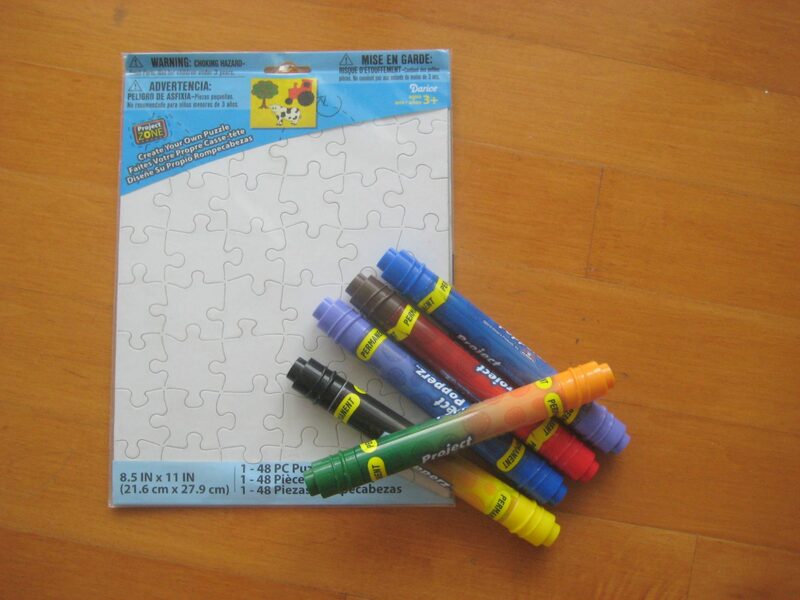 You can get a blank puzzle at Michael’s for $1. I suggest using paint instead of giant permanent markers! Maybe even buying a wooden puzzle and painting over it? Vikki, one of the 5 hostesses, framed the invitation in a blue picture frame she had on hand. Love how it turned out! I love the little rhyme, “A little mister is on his way, let us prepare for arrival day. Join us for a mustache bash” You can find the invites on etsy here. The second guest book included a little mad lib action I made up. Remember the 25 guest book ideas I posted about while back… The mad lib is on the list (along with the puzzle that didn’t work out this time around!). The actual mad lib I used for Annie’s shower is more personalized to her and her husband, but I made a generic version in case you want to use it! You could always cut off the mustaches. 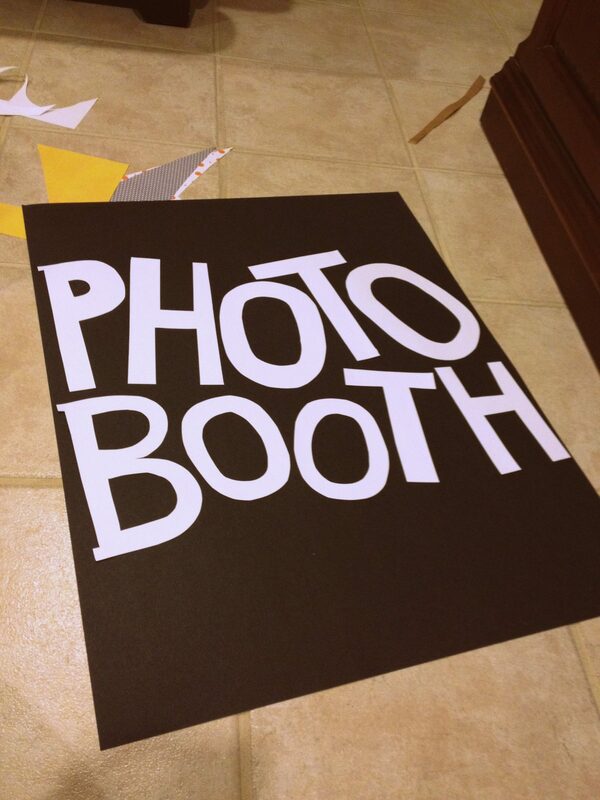 We printed it on 3 different colors of card stock to brighten up the table. 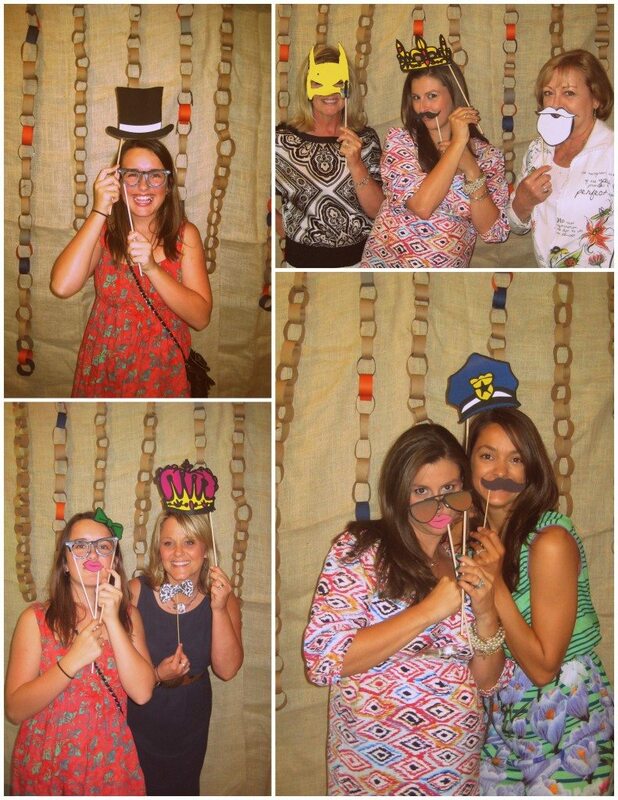 The photo booth is super easy. 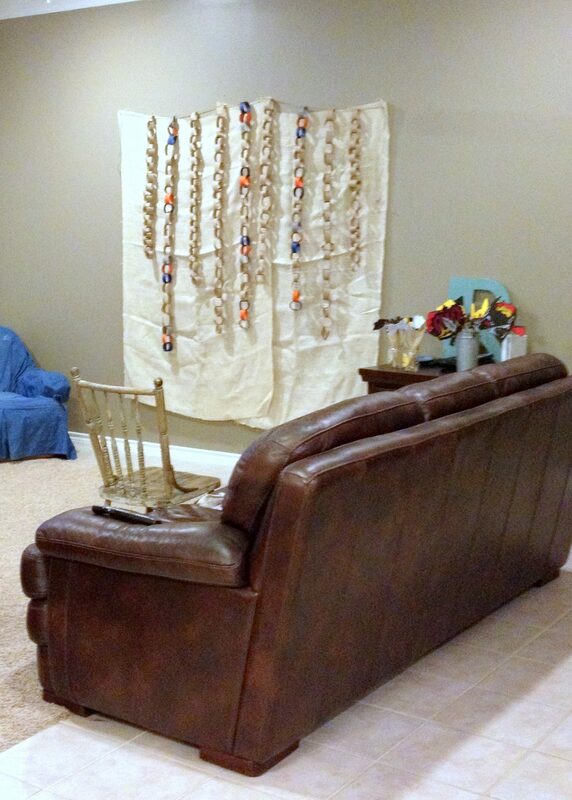 We used thumbtacks to pin up 2 pieces of burlap. I borrowed this idea to add to the burlap backdrop. Marnie’s sweet daughter made us the chain loops out of brown paper sacks and construction paper Sadly this is the only picture i have have the whole thing. 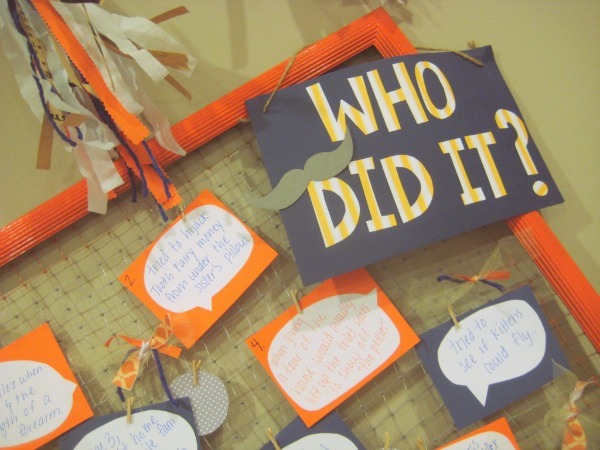 I love the “who did it” idea! I’ll have to remember it next time I’m involved with planing a baby shower. 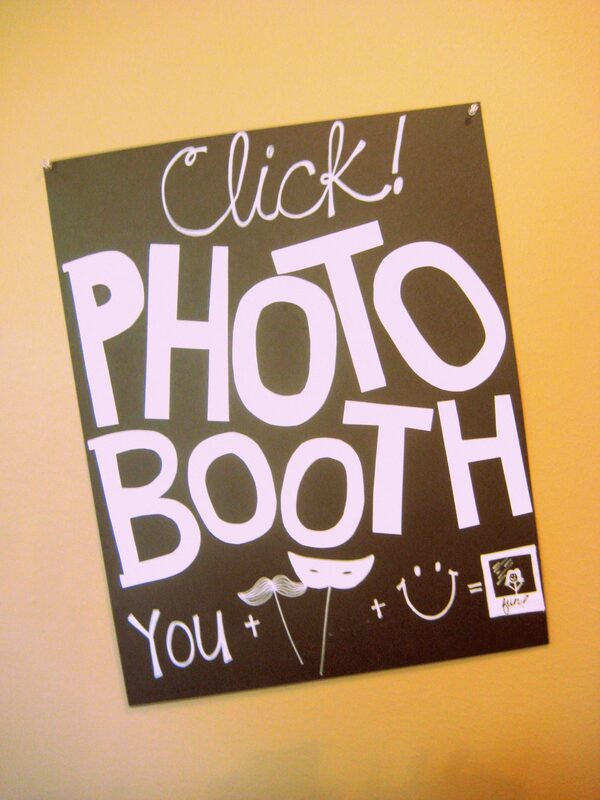 What did you use to take the photo’s for the photo booth? ?